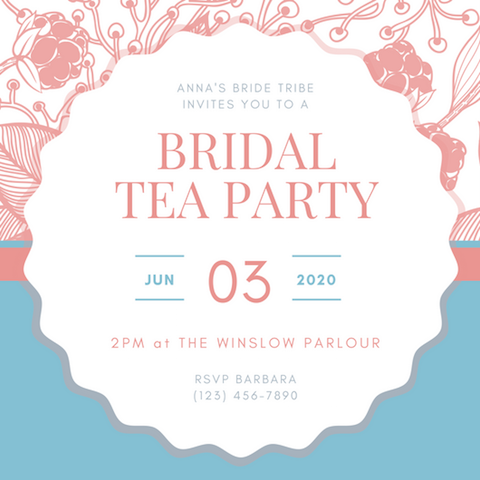 A tea party is a delightful way of spending time with friends and family, whether it’s to celebrate a birthday or special occasion, honor a bride or mother-to-be, or just to catch up with everyone. 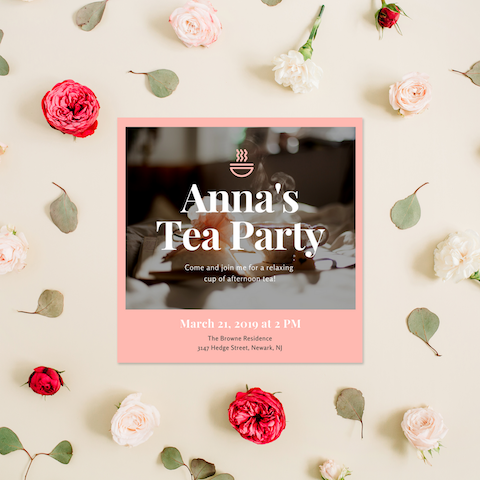 Whatever the reason is, let Canva help you throw a tea party that’s one for the books! Find your spark of inspiration in our collection of charming images and designs. 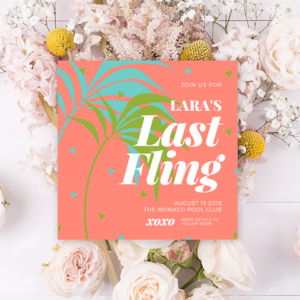 Gather your friends and family together with an elegant and classic invite or a creative and funky one! 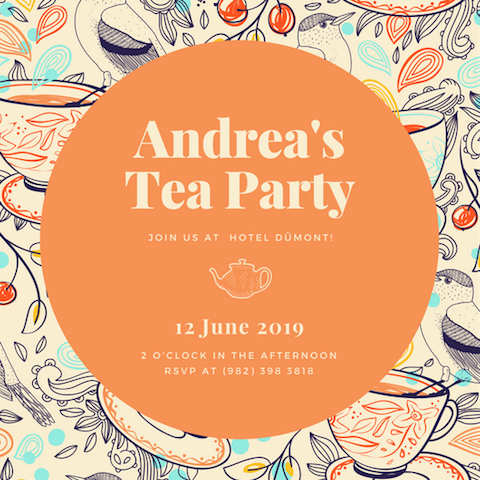 Find a design that best suits your taste and event theme by browsing our specially curated selection of tea party designs. 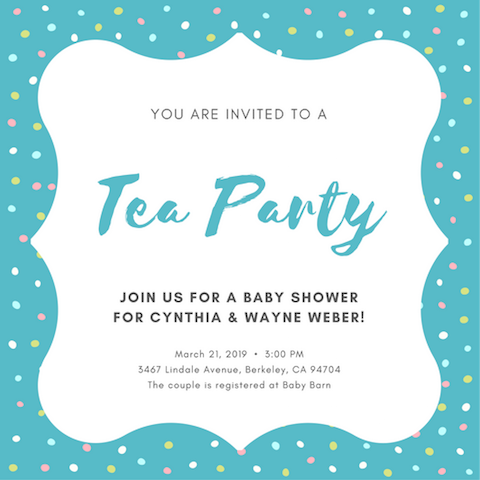 Let these exquisite designs and captivating images charm their way into your heart and inspire you to get creative with your tea party ideas! 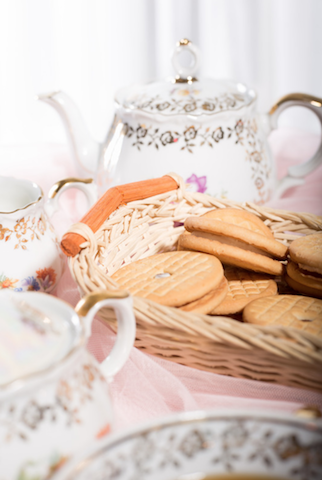 Take out your best teapot set for your party and lay out the accompanying snacks in a basket for an added rustic touch! 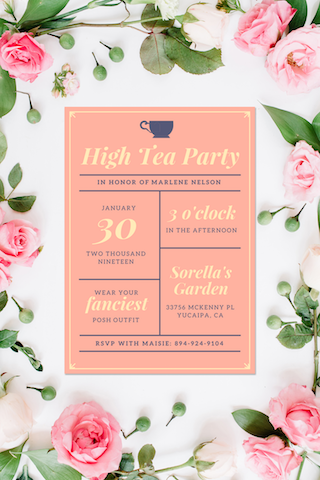 This floral invite sets the tone for an elegant and chic tea party. This design features a light blue background with pink painted flower illustrations along the border. 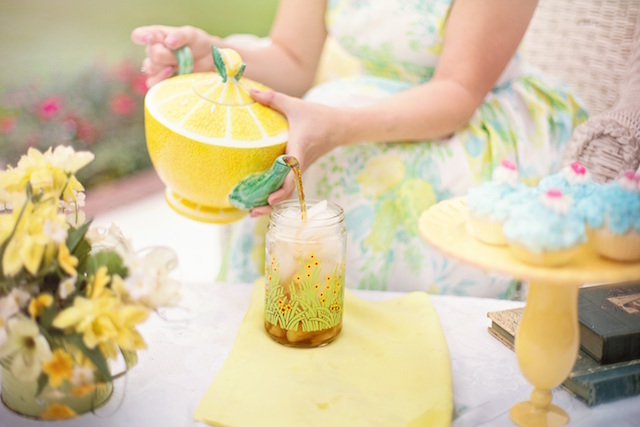 If you’re having your party during summer, you can serve your tea with ice to keep everyone cool and refreshed! 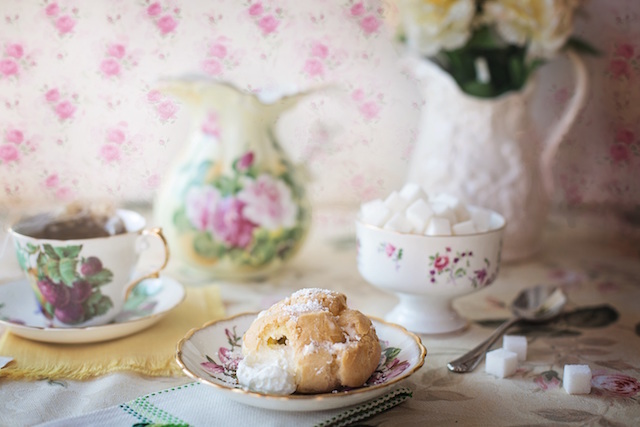 Who says you can’t serve cups and pots at your tea party? 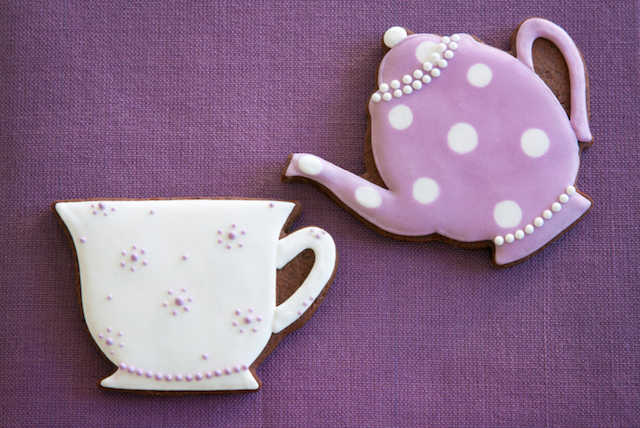 Of course, we mean teacup and teapot shaped iced cookies that look too cute and delish! 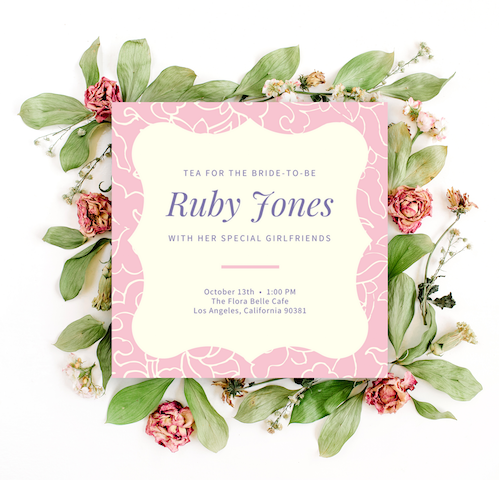 Go the extra mile to send out modern and sophisticated invites to your friends. 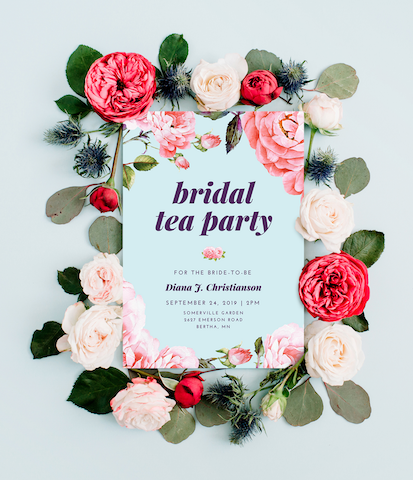 Use this pink and white template featuring a photo frame design with bold text overlay. 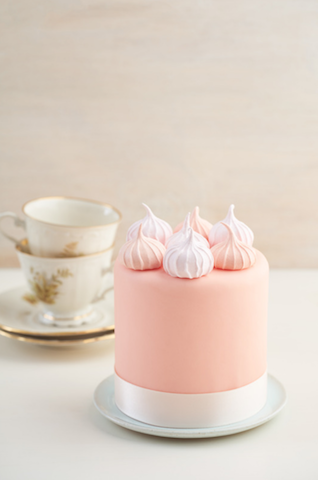 Stick to the elegant and chic theme by serving a beautiful minimalist cake adorned with mini meringue kisses on top. 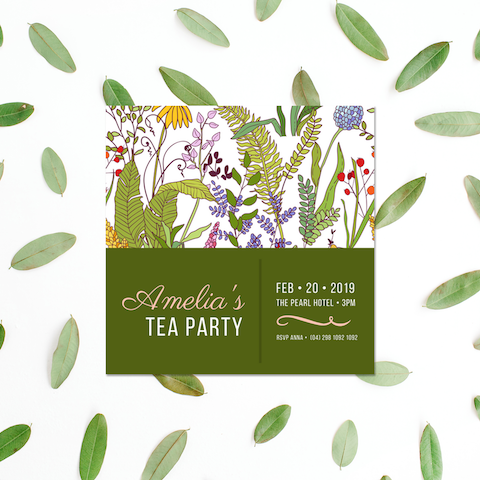 If you want a charming and somewhat whimsical design, go for this dark green and white invite featuring a garden-like illustration of flowers and foliage. 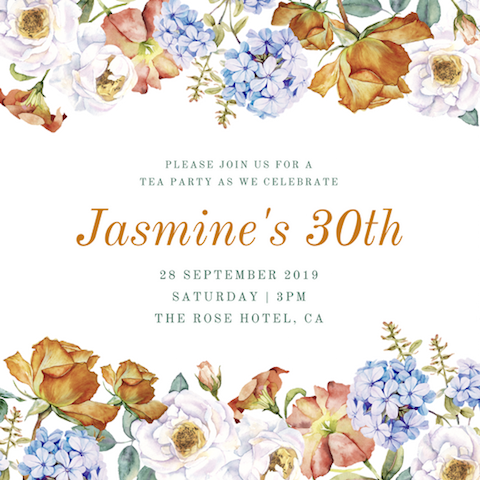 Use this blue and purple floral design if you want a modern feminine look for your invites! This design features a blue background with white and purple floral illustrations. 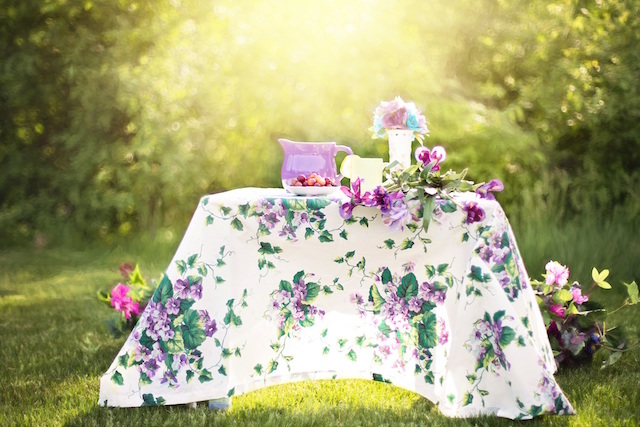 Take your party outdoors where you can enjoy your tea, food and company in the relaxing vibe of nature. 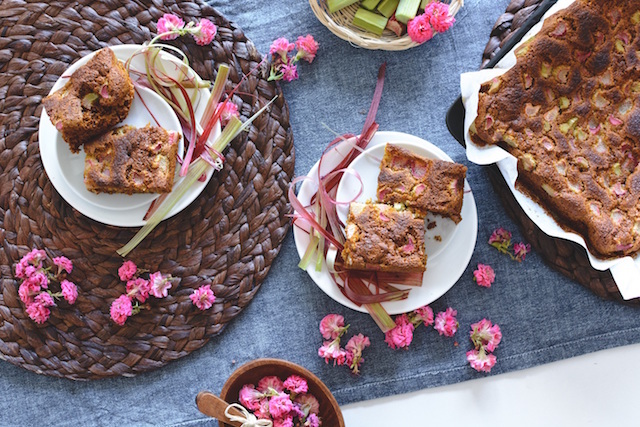 Get creative with the presentation of your tea party snacks! 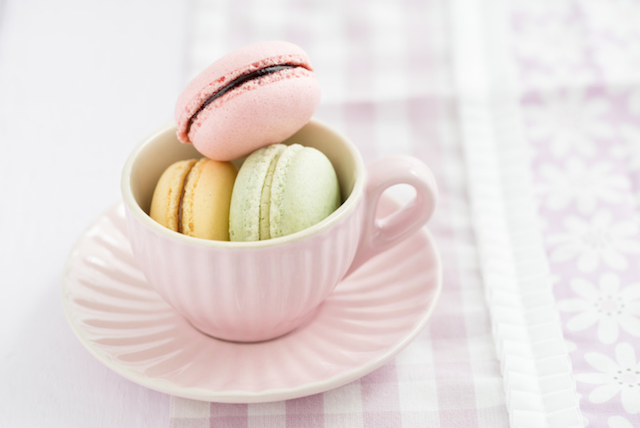 Why not serve the macarons or biscuits in a teacup? 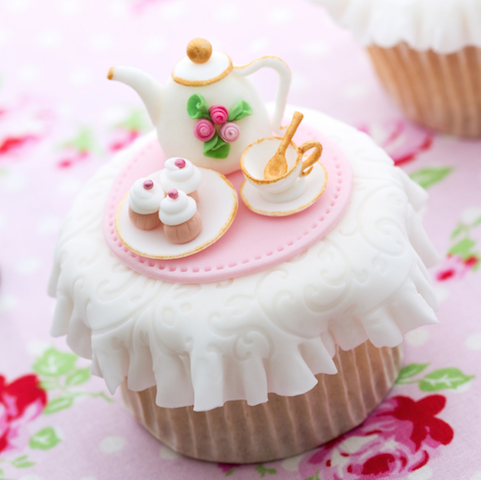 This cupcake with a cute tea party decoration is the epitome of a lovely tea party! Imagine having cupcakes like these at your event – they will be a sure hit with your guests! 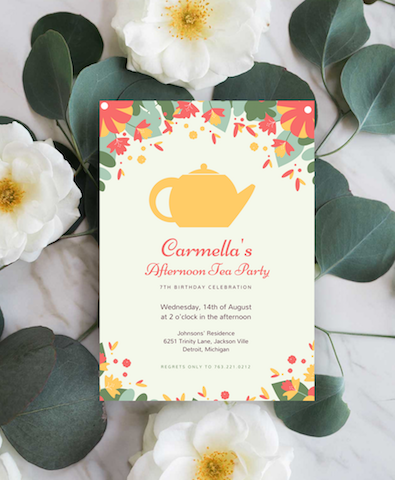 Take the fancy route with this lovely floral invitation sporting a white background with red, green and white floral illustrations along the border and a mix of modern script and print fonts. 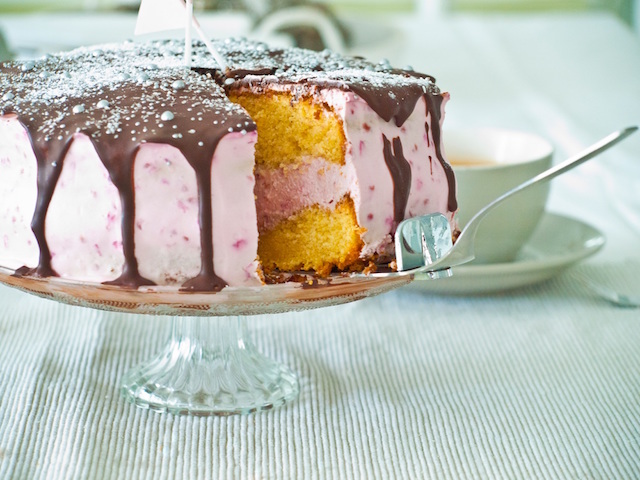 If you’re not sure what kind of cake to serve, go with your own favorite or something fruity and chocolatey! 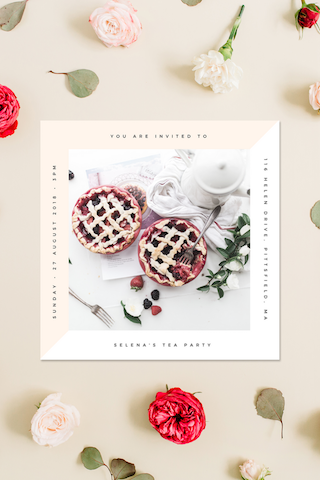 Channel old school elegance with this chic invite featuring a beige and white color scheme, text along the border and a photo of yummy-looking berry pies and tea. 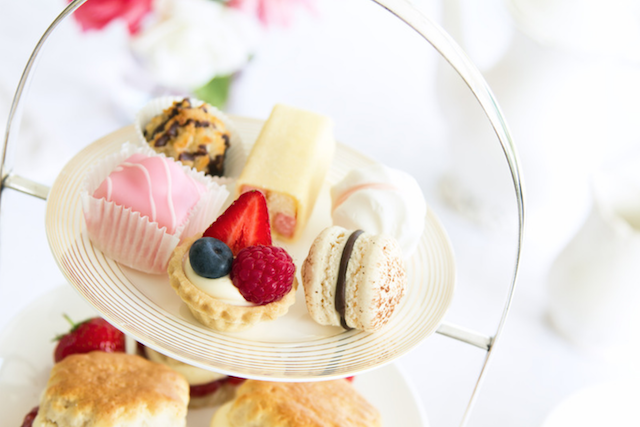 Make sure you have the tea party essentials – good tea, sugar cubes and sweet pastries! 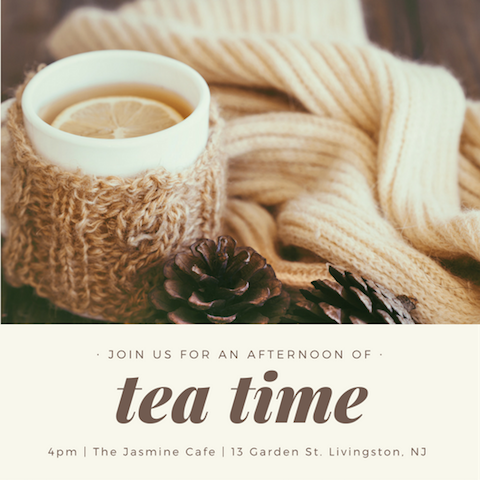 You can keep it casual and relaxed by using mugs instead of little tea cups! Choose a one-color theme for your table settings and decors for a soothing look. 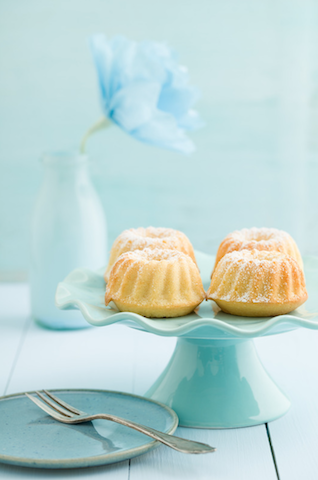 Be inspired by this image of mini bundt cakes on a blue stand surrounded by blue items. 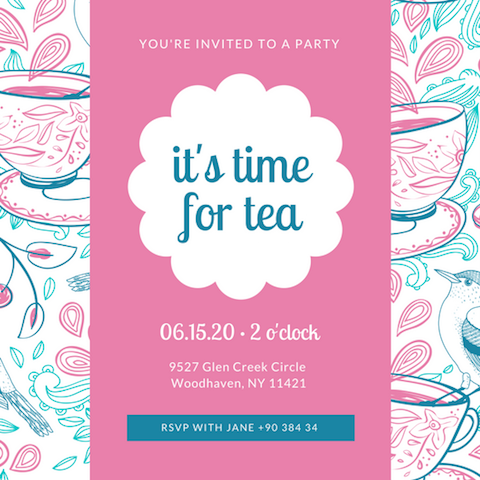 Reflect a touch of sophistication with this simple but chic tea party invitation sporting a pink background with blue and yellow lines and text. 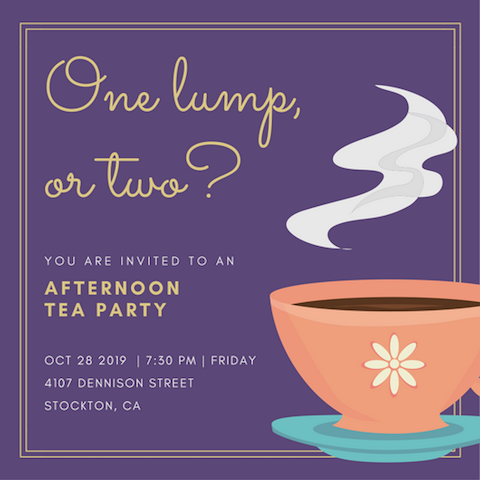 It’s time to bust out your fancy tea set! 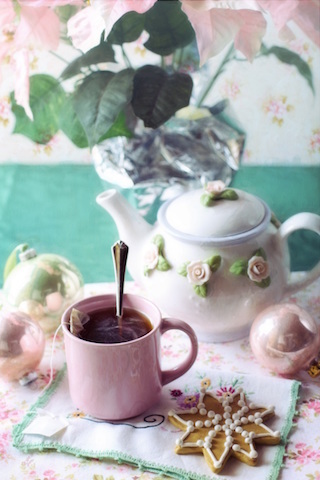 You can’t go wrong with beautiful tea sets that have floral designs and dainty handles. 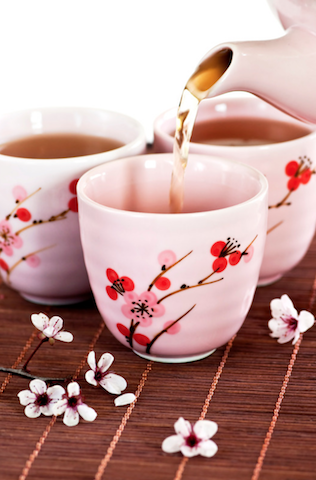 Infuse a little eastern inspiration into your tea party by using handleless teacups with sakura blossom designs! 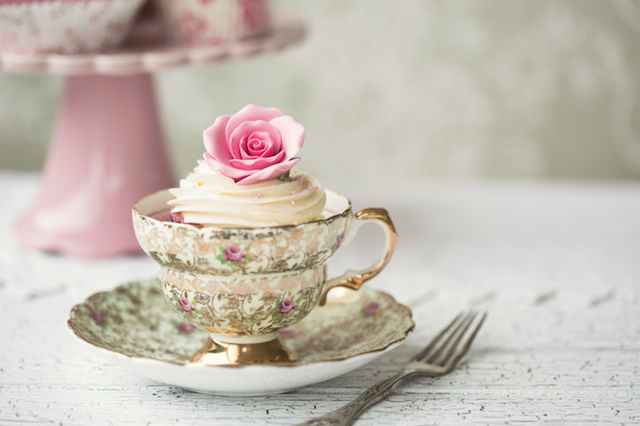 Delight your guests by serving frosted cupcakes with beautiful rose toppers in dainty teacups! 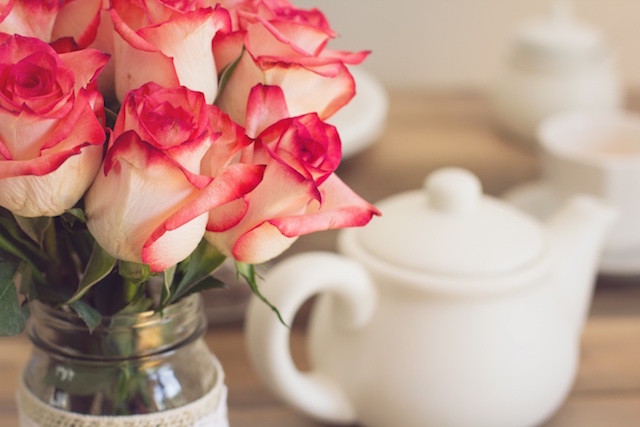 If you happen to have a tea set with a rose design, then that’s even better! Include a whole cake in your food spread to complement all the finger foods and treats. 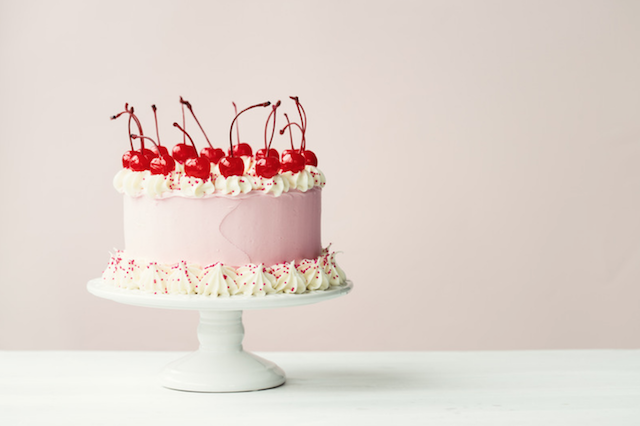 Be inspired by this delicate-looking cake decorated with frosting and cherries. 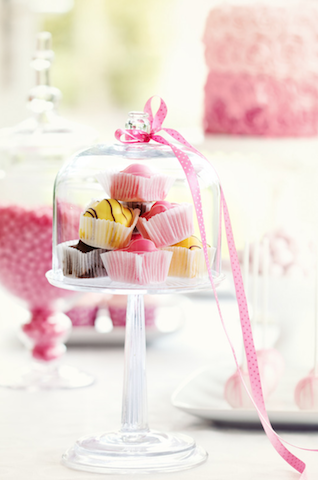 Display your sweet treats on a minimalist style cake stand with a clear cover! Put a ribbon accent on the stand for added flair. 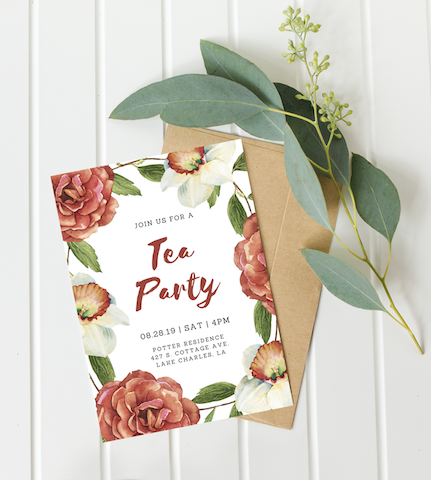 Go for simple and classy with this elegant floral invitation. 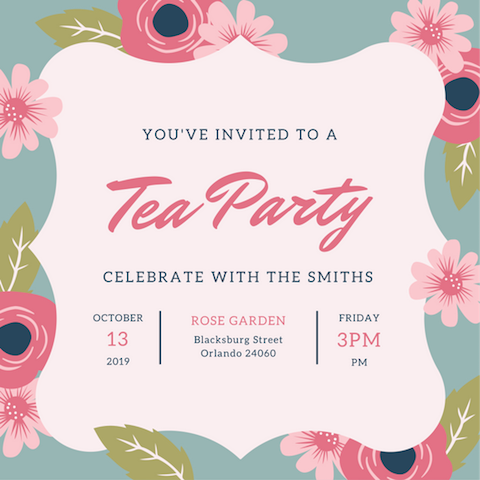 This invite features a pink and cream floral design with purple typography in a mix of print fonts. Instead of using cups with floral designs, why not use real flowers as accents? 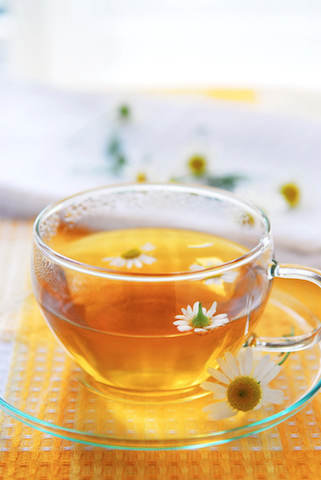 Have your tea in clear cups and add edible flower blossoms. 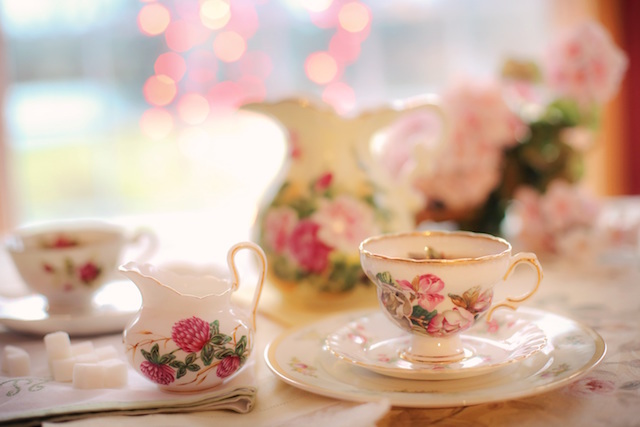 Adorn your table with beautiful floral arrangements to set the mood for an elegant and sophisticated tea party. Give your guests a wide selection of pastries, sweets and other appropriate treats to choose from! This clean and no-fuss design drives home the message perfectly! 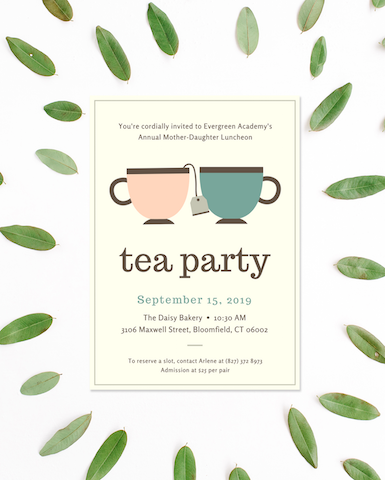 This cute tea party invite sports a beige background, elegant fonts and an illustration of a pair of teacups. 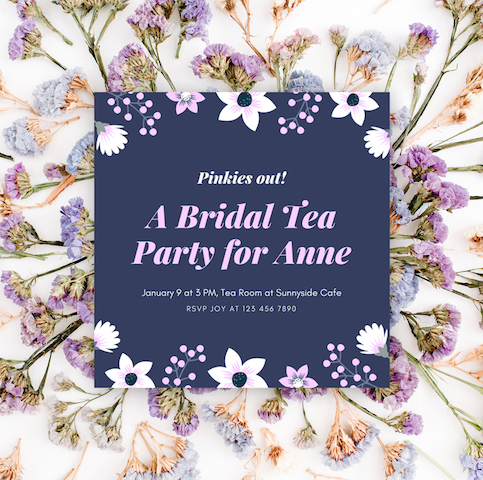 Build the anticipation for your tea party with this charming invite featuring dainty pink, yellow and green floral illustrations and a yellow illustration of a teapot! Sprinkle little flowers on your table setting for a charming and rustic look. 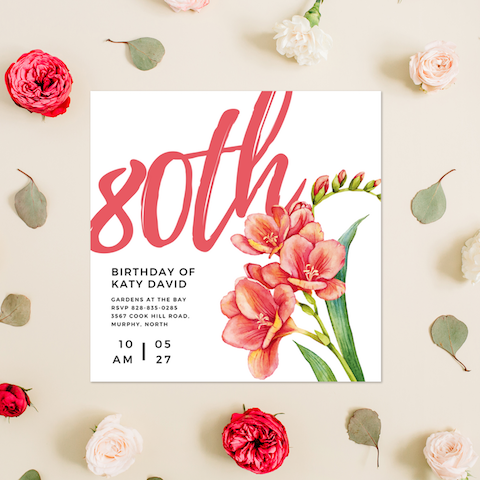 Invite folks to a special celebration with this modern and feminine floral invite. 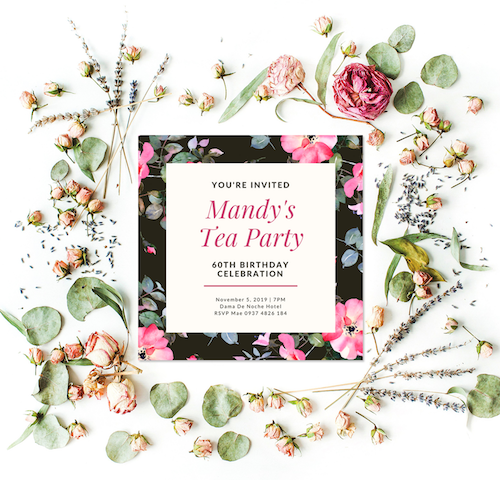 This invite features a black, green and floral design and a mix of elegant and print fonts. 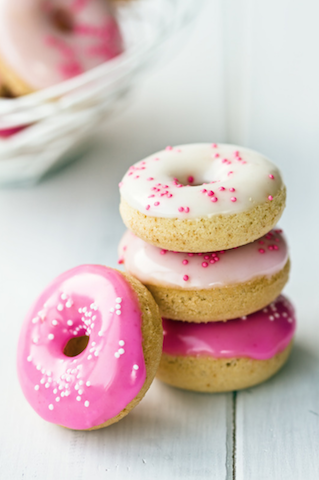 These pink and white frosted mini doughnuts add such a cute and charming touch to your food spread! 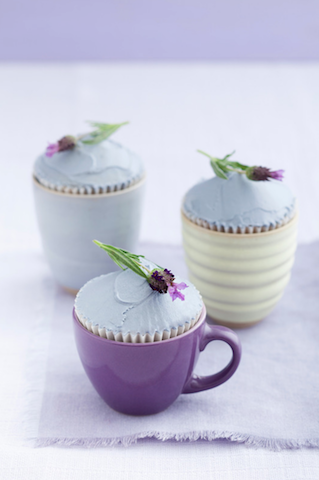 Serve your cupcakes in teacups in a similar shade or hue to create a stunning display! 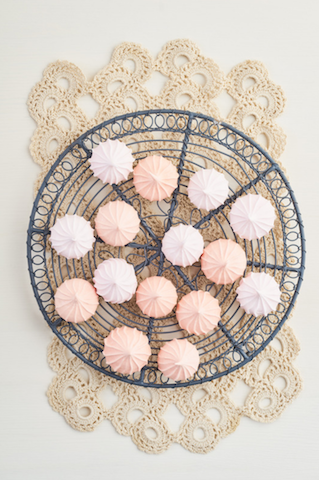 Impress your tea party guests with cute and scrumptious-looking mini meringue kisses presented on an elegant wire tray.